Karnataka Secondary Education Examination Board (KSEEB) was conducted SSLC (10th Class) examination in March-April 2012. More than 8 lakhs students appeared in the SSLC examination held in the month of March-April 2012. All the students appeared in SSLC exams are eagerly waiting for the SSLC results 2012. The SSLC Examination 2012 Results will be declared tomorrow dated 17 May, 2012. 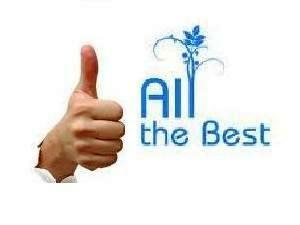 Keep patience and wait for few hours more to see your SSLC (10th class) results 2012. There are two direct links are available due to high load on the server during the announcement day of Results. Student who had appeared in the SSLC Examination 2012 can see their results using the following two direct link. The given links will show the results from 17 May, 2012.